Fleming’s Prime Steakhouse and Wine bar just announced its limited time summer special of a 3-course Prime Rib dinner for only $29.95 on Sundays! It includes a salad choice of the New Wedge, Fleming’s salad or Modern Caesar. The Prime Rib dinner also features Fleming’s premium au jus, horseradish, and Dijon sauces with your choice of side and delicious dessert! 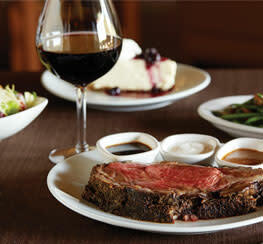 Fleming’s Prime Steakhouse and Wine bar is located at 4322 West Boy Scout Boulevard, Tampa. Visit their website for reservations or call (813) 874-9463.